Beginning his offshore racing career at just 17 years old, Bouttell soon pinned his dreams on the Vendée Globe. 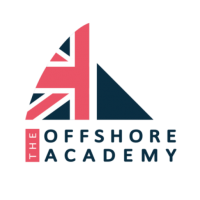 In his long term quest to make it round the globe singlehanded, he enrolled in the Artemis Offshore Academy, kick starting his career as a solo ocean racer. In 2013 Bouttell became the first British sailor to take home the Solitaire du Figaro Rookie prize, a then 22-year-old Jack Bouttell, was deemed the shining new star of solo offshore racing. Following his successes on the Figaro circuit with the Academy, Bouttell was invited to race leg 3 of the Volvo Ocean Race with fellow Figarists Charles Caudrelier, Pascal Bidégorry, Eric Peron and Thomas Rouxell aboard the Chinese entry Dongfeng Race Team, bringing the combined number of Solitaire races/entries onboard to 28. Spurred on by the words of his friend and mentor Caudrelier, winner of the Solitaire du Figaro in 2004, Bouttell returned to the Classe Figaro circuit in 2015 with a host of new offshore skills and experiences, sailing Caudrelier’s winning Figaro – no 19.